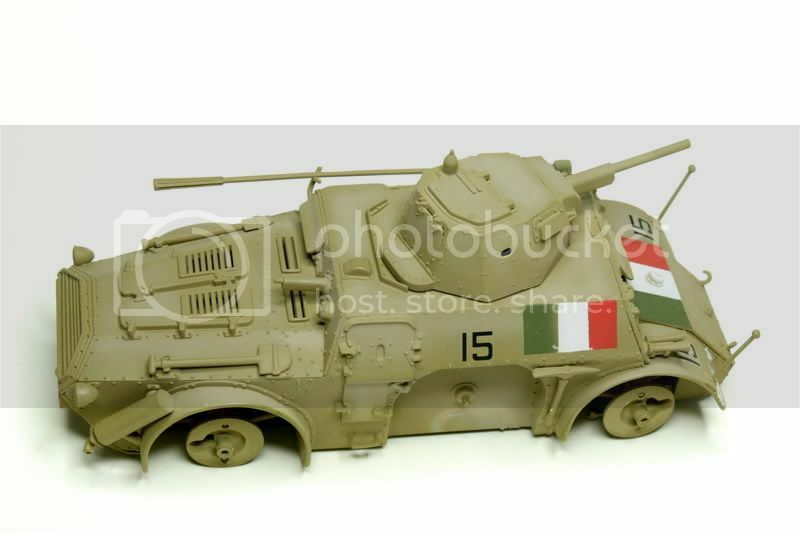 This is an Italeri kit but in a Tamiya box.. I'm satisfied with it, because it's a nicely engineered, detailed kit and what is important no Tamiya decals this time. 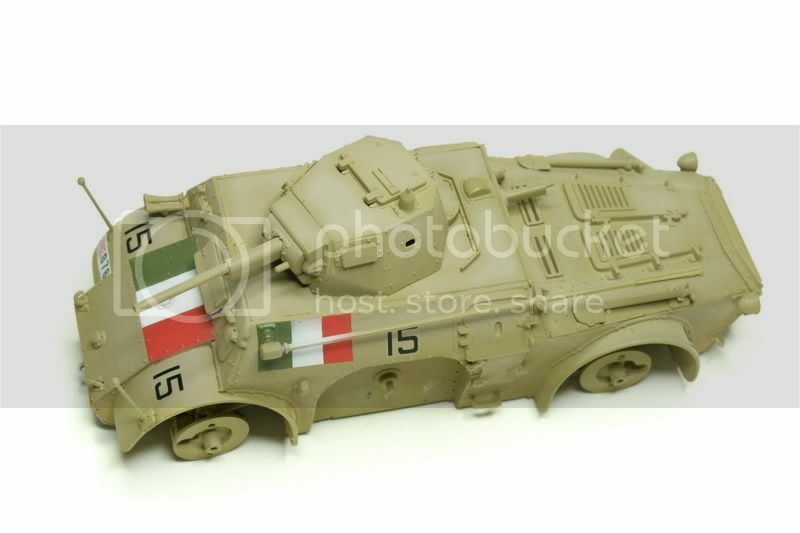 The decals included are from Italy. The building is very straightforward. It was done in one day. Looking very nice, Narn! 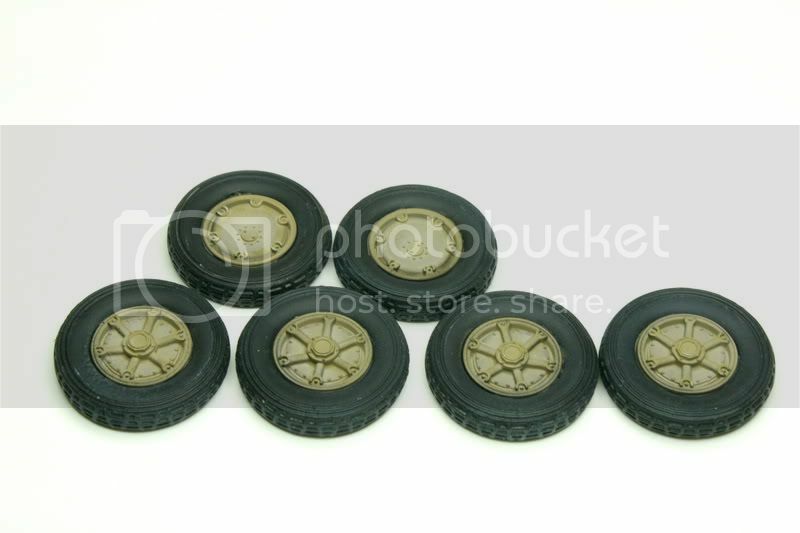 Are the numbers painted as well or are those the decals you were mentioning? Only the tricolor is painted. The rest is decal. 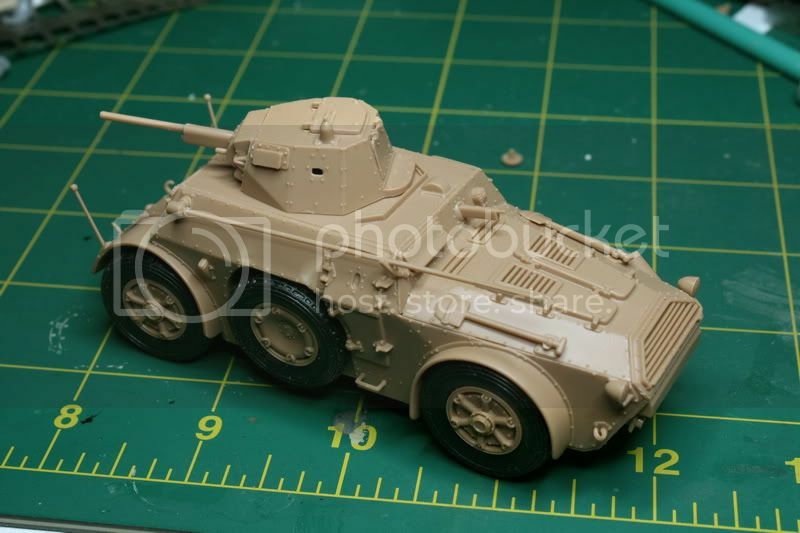 A very nice start and progression on your 1/48 Italian Armored Car AB41 (Tamiya) build. Good job on the tri-color masking application. 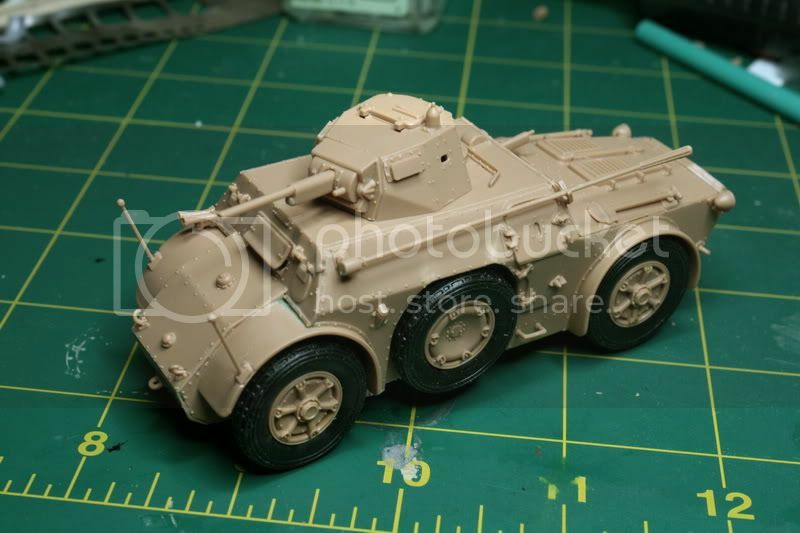 Please, post photos of weathering and finish. thank you for the post and photos. 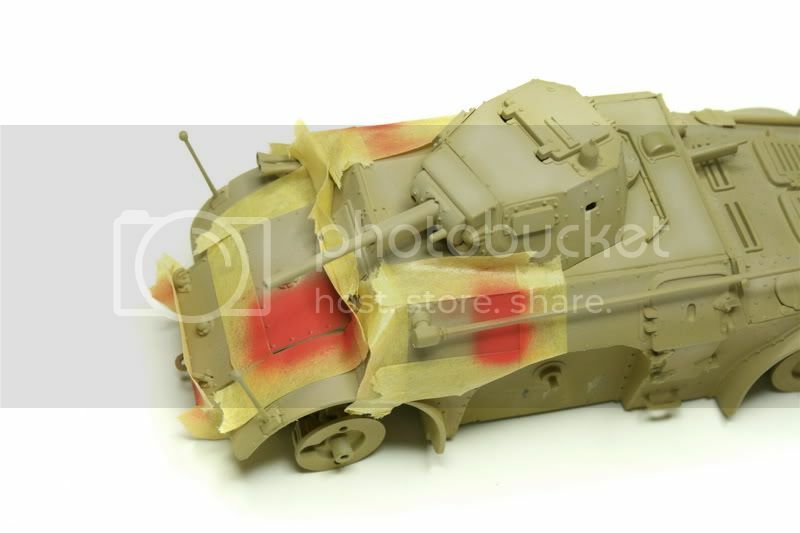 The AB is such a cool looking armored car. How could anybody not like it? Great job so far.